I can help you with your Life in Dubai. 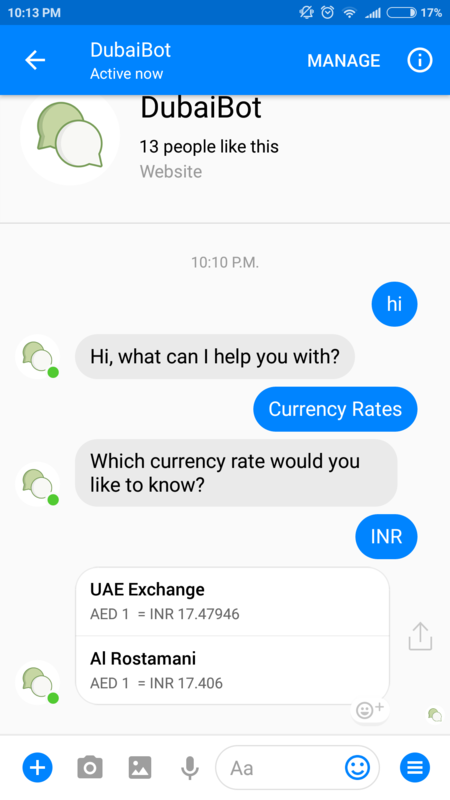 I can give you daily currency rates from popular exchanges. Includes home currencies of all major Dubai expats. 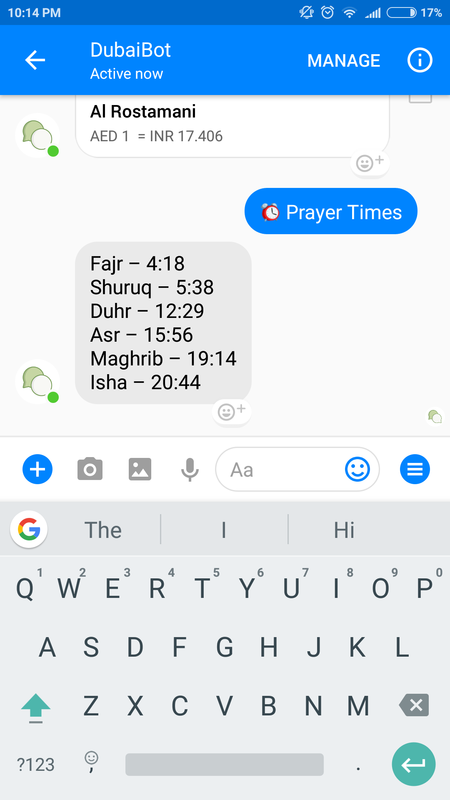 Islamic prayer times right on your Messenger. Get the updated prayer times in few taps.